We've all been there. 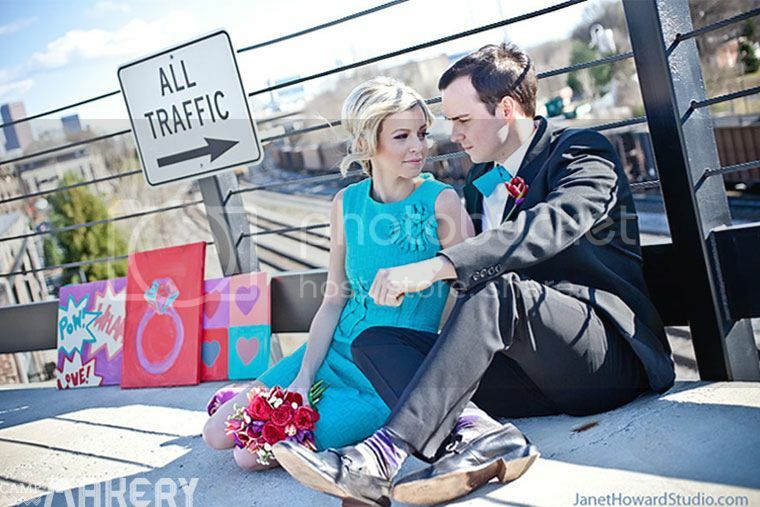 You've found the perfect photographer (who, if you are in Atlanta, is Janet Howard- she took every photo in this post! ), scouted the perfect location, maybe even browsed Pinterest and found some really great prop ideas for your next family portrait session. And then, the dread sets in. What do we WEAR??? Chances are, if you're the lady of the house, you're charged with the pressure of dressing not only yourself but also your kids and spouse. It all can seem so daunting at first. Let's face it: if your photographer is any good, you are going to be investing a decent sum of money (worth EVERY penny, IMHO,) so you've got to make the most out of those photos. Here are my tips for doing just that! 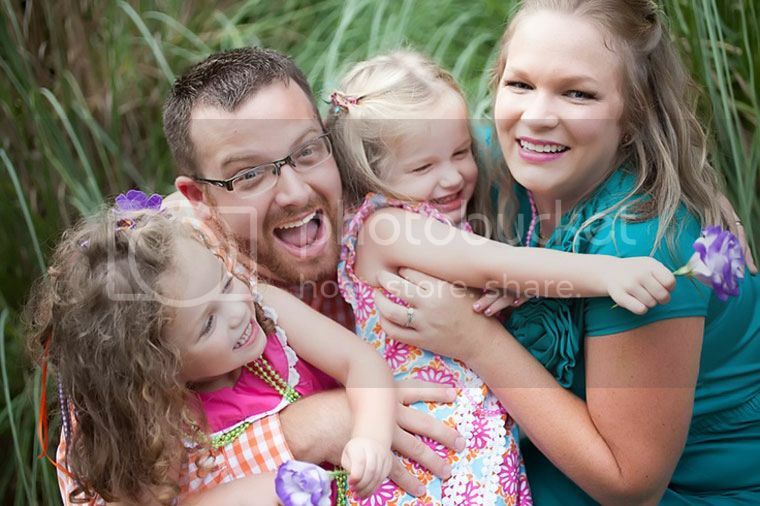 For family photos, I always recommend keeping your lines classic and your colors mostly neutral. If you do want to go crazy with color, like in the engagement photo I styled above, make sure your clothing is classic in style and fits impeccably. Your clothes should always fit well, but it's even more important when they're day-glo! Remember: Even if you don't always love the colors you chose, you can always have the images printed in black and white. There's no photo process for fixing M.C. Hammer pants and scrunch socks. 2. Prop it like it's hot. This is especially important if you're having portraits taken with young kids. If you give them something pretty to look at and play with, you're sure to get some great candids. For the Christmas session shown above, I used a lot of different props. Delaney's favorite by far were my vintage ornaments. 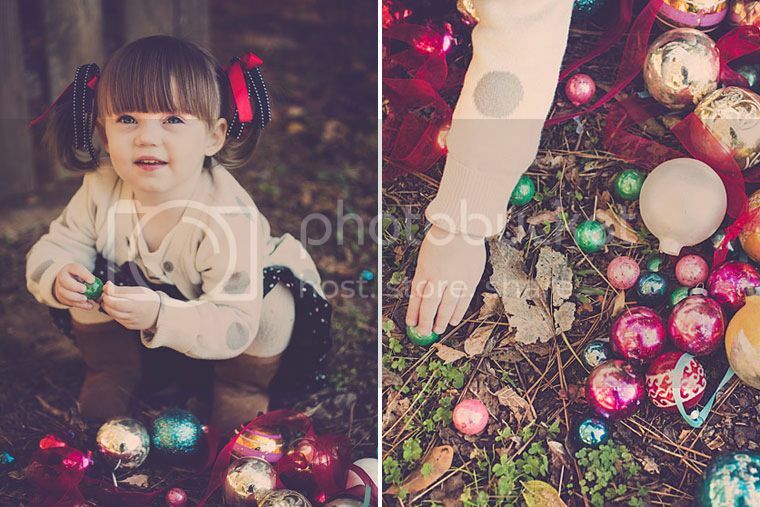 She was happy and calm, and we ended up with some adorable photos of her with some pretties. Win-win! As I mentioned in Tip 1 above, keep it classic. Think of items that will never lose their meaning or place in society. What I mean by that is, imagine looking at these photos in ten or twenty years. You will still look at fresh florals and think they look beautiful. Glass Christmas ornaments are never going away. Stay away from super hot trends that are very "now," and your photos will never look dated. This goes for clothing, props, and backdrops. Hop on Pinterest or ShopStyle and start looking for wardrobe ideas. 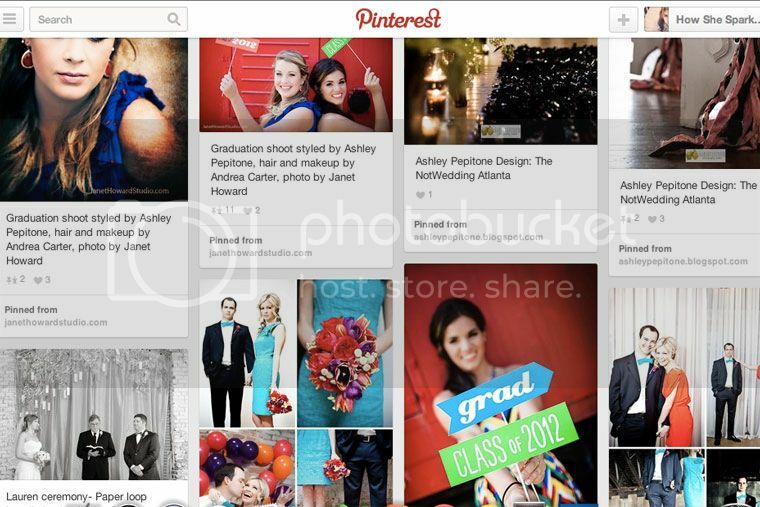 The screenshot above is my board dedicated to styled photoshoots. Lots of stylists and photographers have similar boards that are chock-full of ideas and inspiration. I recommend search terms like "family portrait style" and "wardrobe for portraits." As for the clothing itself, I always start with one person to dress. Usually, it's my daughter because little girls clothes are just so much fun. I find one item that I am just in love with, and I let that set the mood for the rest of the shoot. About a month before a scheduled shoot, I hop on Polyvore and get to planning our wardrobe. I give myself that much time, because I usually order most or all of our clothes online, and I want a cushion in case I need to return or exchange anything. Polyvore is an incredible tool for everything from wardrobe planning to interior design. It's super easy to use and addictive. Just download the "clip it" button from the website, and shop online as usual. When you find something you want to include on your inspiration board, "clip it" to your Polyvore and it will appear in your saved items! 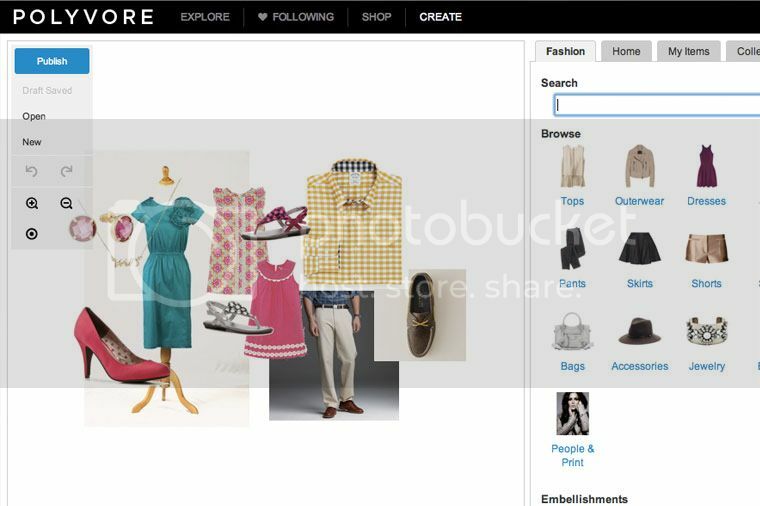 If you don't want to surf the web, you can search Polyvore itself for thousands of items-and you can search by color, price, item type, and more. 5. Bring options. And keep your cool. This is another one that's important with little ones. I always bring a bag full of accessories and layers to switch out in case inspiration strikes, I get bored, or something doesn't go according to plan. If you've got kids, you know that they will inevitably spill something all over themselves or you (or both) at the worst possible moment. A strategically placed scarf or losing your cardigan, and you're good to go. Darling girl doesn't want to wear the beautiful hat you bought for the occasion, and has a horrible case of hat hair? No worries-you've got a big bow to plop on her noggin, and no one will be the wiser. Even if you don't have kids, bring some accessories and layers to play with. I am always amazed at how what was originally an afterthought usually becomes my favorite item of every shoot! Finally- when in doubt, leave it to the pros. If you're not confident with your beauty skills, hire a professional hair and makeup artist and you will never be sorry you spent that money. Contact a local floral designer or event stylist to handle the florals and/or props. If you don't know who to hire, just ask your photographer! Our own Andrea was the on-site beauty guru for all of the images in this post, and Juli created that gorgeous bouquet in the engagement shots, as well as the florals for the bright family shoot. That's not a total coincidence-every good photographer has a team of other professionals they know, trust, and love to work with. Just ask! If you follow the tips above, you're sure to have priceless family photos that you will enjoy looking at for years and years to come. Questions? Comments? Suggestions to add? Hit us up on Twitter and let us know your thoughts!